Located on the northwest coast of England, Southport is a seaside town in Merseyside within the borough of Sefton. It has a population of around 90,000, and is an affluent area compared to other parts of the region, with a property market to reflect this. At My Home Move Conveyancing we have been developing our knowledge and expertise of the local market since 2002, allowing us to bring our clients in Southport an outstanding specialist, fixed fee conveyancing service. If you wish to buy or sell property in Southport, you’ll require the services of a lawyer to complete the legal work on your behalf. 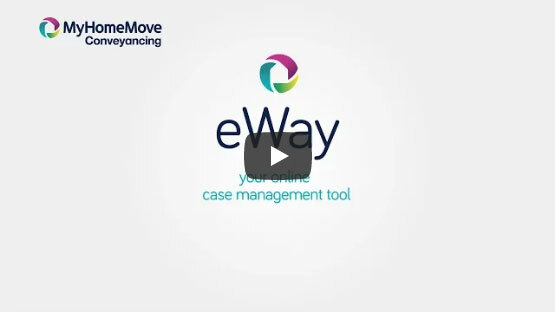 My Home Move Conveyancing offer award winning customer service, an innovative use of technology and intimate knowledge of local markets, making us the outstanding choice to help you as your Southport conveyancers. Our fixed fee conveyancing service comes free from hidden extra costs, meaning you can budget for exactly what you’re going to pay right from the start. If you don’t end up moving, you won’t have to pay us a thing in legal fees. We assign a dedicated conveyancer to each of our clients, providing you with a consistent point of contact, regular updates, online access to your case and a seven-day-a-week service. At My Home Move Conveyancing we are proud to supply our conveyancing services in Southport to customers across the local area, from the town centre to spots such as sought-after Birkdale and Churchtown. The average house price in Sefton is £123,816, while in Southport during the past 12 months the overall average sale price was £178,953. Semi-detached properties were most popular in terms of volume of sales by some distance, going for an average of £160,090. Detached properties averaged at £281,373, flats at £120,656 and terraces at £132,202. Situated on the Irish Sea coast, Southport remained relatively under-the-radar until the turn of the 19th century when tourism flourished due to easy access from the Leeds and Liverpool Canal. With swathes of sand dunes and a wonderful pleasure pier, Southport remains one of the UK’s most popular seaside resorts. There are plenty of modern amenities to suit residents however, including the iconic Lord Street with its shops and other popular spots such as Chapel Street; golfing is also hugely popular in the area. The selection of schools adds further appeal to Southport for parents of young children, with primary options including Ainsdale St John’s CofE, Churchtown Primary and Birkdale Primary on Matlock Road. Choices at secondary level include Christ the King Catholic High School, Meols Cop High School and Peterhouse School in Churchtown. The coastal setting of Southport means that the town is hardly a transport hub, although it does offer close proximity to Liverpool via the A565 road and train services that take just 45 minutes; Preston and Manchester are both just over an hour away by train. The A565 can also be used to head towards the M6, M57 and M62 motorways, while Liverpool John Lennon Airport is less than 30 miles away. All properties in Southport will fall within one of the following council tax bands.